Face Kings Comets at 7 p.m. 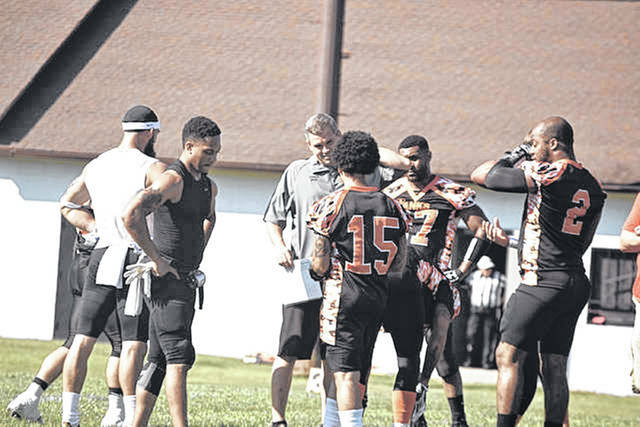 When the 9-1 West Portsmouth Tanks take the field against the 7-2 Kings Comets at 7 p.m. on Saturday night at Walnut Hills High School in Cincinnati, head coach Jamie Rice knows how important it is for his team to win. If the Tanks are able to secure a road victory in their last regular season game this year, they will be the number one overall seed in the postseason. In the event they do win this last regular season game, the Tanks will receive a bye and then will host their first playoff game on August the 11th, and the subsequent championship of the Blue Collar Football League on August 18th. “It’s a really big game for us” said Rice, “In semi-pro football, it’s sometimes hard for people to get off work. If you could host, you take a lot of the unknowns out. It’s a really nice advantage”. Although the Tanks have a better record than the 7-2 Kings Comets team, Rice believes his guys cannot overlook them as a team because of some of the staunch competition the Comets have played. “They’ve been around for around twenty years, which in our brand of football is practically two centuries” said Rice, “They lost to the Crusaders team which is a really good team that we beat 7-6 three or four weeks ago. Then their other loss is against a team that is probably the second or third best team in our league”. Rice believes the strongest part of the Kings Comets is their defense, and their ability to shut their opponents down. “They’re a really strong defensive team” said Rice, “It’ll be tough to score on them, for sure”. As for the keys for his team to come out successful in their final regular season game, Rice believes his guys have to remain disciplined. “We tend to turn the ball over some, a lot more than we should” said Rice, “And we have to cut back on penalties. We probably average over 150 yards of penalties a game. We’ve got to keep that under control”. 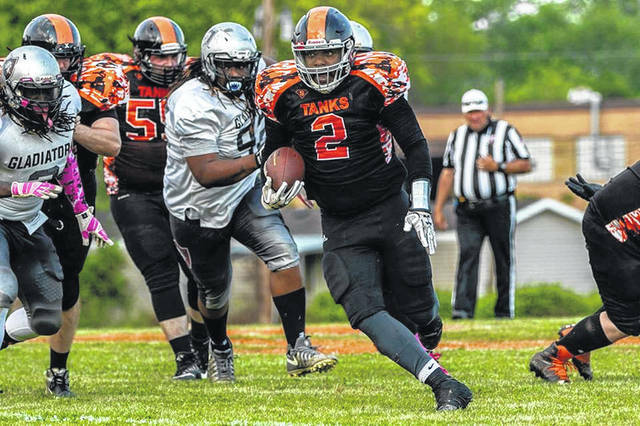 The Tanks began their season on a rough note, losing their opening game to the Columbus Gladiators by a score of 32-26 on their home field. However, since that opening game, the Tanks have rattled off nine straight victories, propelling them to the top of the standing in the East division. “It’s been rewarding, seeing some of these guys get better” said Rice, “A lot of these guys have gotten better. There’s been some years when we’ve gotten really good players, and they play like you expect them to play”. Anyone interested in watching the Tanks final regular season game can visit their Facebook page by searching “West Portsmouth Tanks”. When the game starts at 7:00 p.m., the Tanks will begin streaming the game on their page via Facebook Live.